Spend some quality time socializing with your pup while enjoying a delicious make-your-own sundae with Edy’s Ice Cream at the Eleventh Hour Rescue’s 10th Annual Ice Cream social noon to 5 p.m. 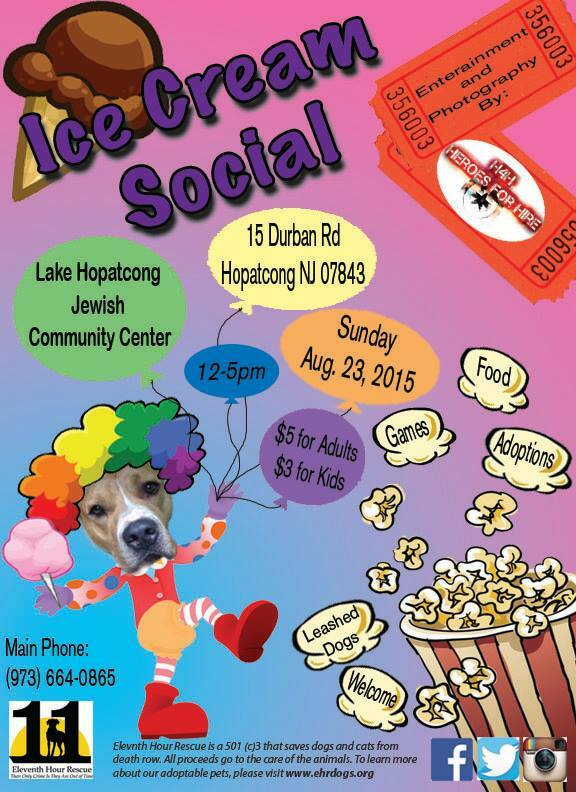 Sun., Aug. 23 at the Lake Hopatcong Jewish Community Center. While you chow down, your dog will be doing the same with their very own Frosty Paws Treat. This is a “bring your dog” event (no flexi-leads). For more details, visit: www.ehrdogs.org.